L. 2. The Bill for the Assurance of Land to the Lord Riche and Mr. Shelley. 2. The Bill for the City of York. L. 3. The Bill for the Restitution of the Lord Stafford in Blood. - Jud'm. L. 2. 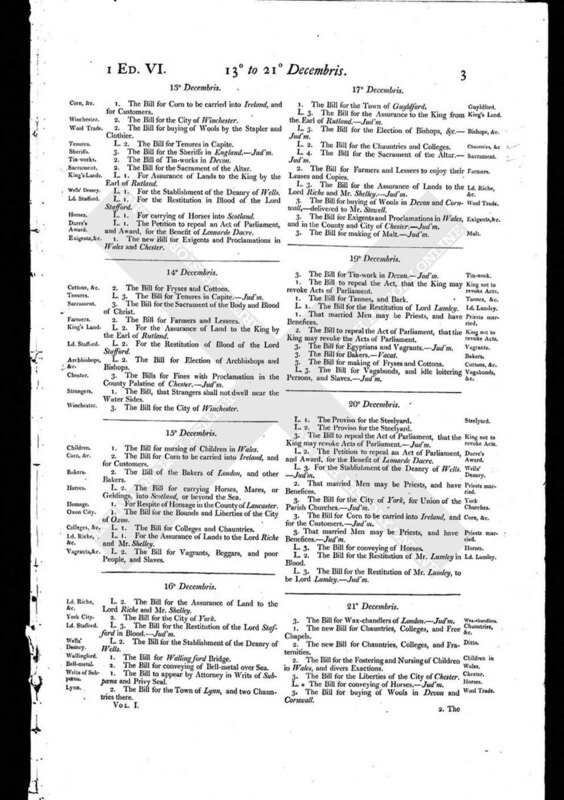 The Bill for the Stablishment of the Deanry of Wells. 1. The Bill for Wallingford Bridge. 2. The Bill for conveying of Bell-metal over Sea. 1. The Bill to appear by Attorney in Writs of Subpoena and Privy Seal. 2. The Bill for the Town of Lynn, and two Chauntries there.